This is a bumper monthnote because I took 2 weeks off at the end of December. I spent one of those weeks at home in Yorkshire. 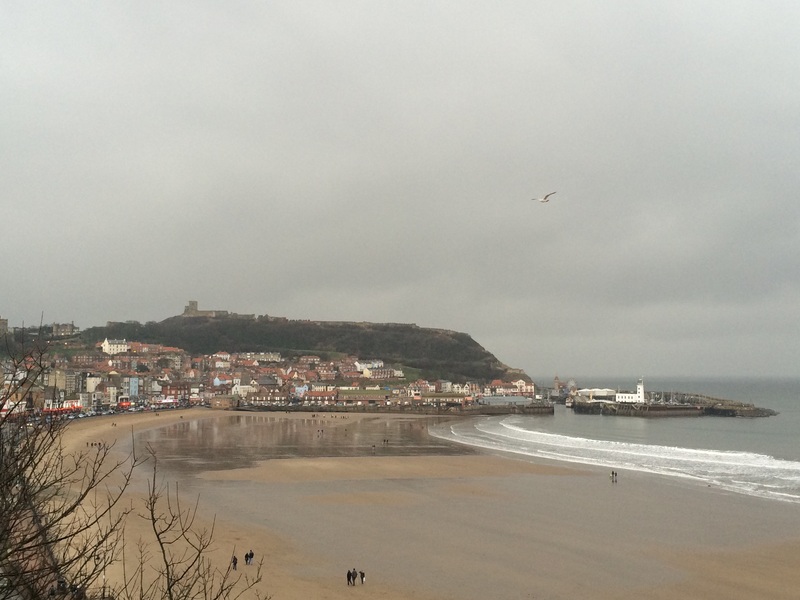 Here is Scarborough in all its gloomy magnificence. Note large expanse of grey sky. At the anonymous IT company, colleagues and I have got approval to do the next stage of our project, which is brilliant news. I’ve also been doing some enjoyable work on digital projects for their clients. Elsewhere, I’ve been turning my attention to using my skills for Good. I’ve started getting to know SH:24, a sexual health start-up, and will be helping them out a bit in February. I’ve become a fellow of the RSA. I’m not sure what exactly these two things are going to involve but I think they will be excellent. I’ve also got a new project with an organisation that does Good (and is ooop north) which starts in February. Most importantly of all, Sleater-Kinney, creators of the Official Rebecca Industries Corporate Song returned with a new album called No Cities to Love. It is magnificent and made January 2015 the best January of all time. Surface Envy is currently my favourite song. It’s about working hard to achieve excellence, and choosing to do this hard work collaboratively.